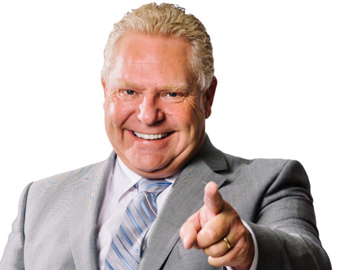 Doug Ford’s resounding victory in the June 7 Ontario provincial election sent shockwaves through Canadian politics. Canada’s largest province has elected a brash Diet Trump, who, like the UCP, has made clear his opposition to one of Justin Trudeau’s signature policies — nation-wide carbon taxation. While pollsters had him neck-and-neck with Andrea Horwath’s New Democrats, Ford won 40 per cent of the vote, a full six per cent more than Horwath. UCP loyalists will no doubt be celebrating this victory, as a sign of things to come for themselves in next year’s Alberta election. As with the Ontario PCs, the UCP are the clear favourites going into the upcoming election. If the Ontario NDP had been able to overtake the Tories, the UCP would have reason for concern. Perhaps Premier Rachel Notley and her NDP would have been able to seize this momentum and earn another shot at governing Canada’s conservative heartland. But it didn’t end up even being close. Of course, there are some important differences between the situations in Ontario and Alberta. For one, the ruling Ontario Liberals had been in power for 15 years. That’s nowhere near as long as the Alberta PCs were in charge before 2015 (or Ontario PCs prior to 1985), but it’s a lot longer than the Alberta NDP will have been in power by 2019. In Alberta’s political history, no party has been an “accidental government,” as UCP leader Jason Kenney is fond of calling the NDP. The shortest tenure of any ruling party in Alberta history is the United Farmers, who were in power for 14 years, from 1921 to 1935. Even the loathed Liberals, who many people forget formed the first provincial government in Alberta’s history, ruled uninterrupted from 1905 to 1921, totaling 16 years. The Liberals, United Farmers and Social Credit parties each had three consecutive premiers. So by Alberta’s standards, an NDP loss in 2019 would be just as historic as its 2015 win. Another important distinction between Alberta and Ontario politics, and one that portends well for Kenney, is the difference between the PC and UCP leaders’ style. In terms of policy, Kenney and Ford are very similar — both are in favour of low taxes, shrinking the public sector and social conservatism. But Kenney, love him or hate him, has a much firmer grasp on public policy than Ford. It’s hard to envision Kenney accusing a reporter asking him how a bill is passed of asking a “gotcha question,” as Ford did. This is because Kenney is a truly seasoned politician. Kenney has been in politics since Doug Ford Sr., the Ontario premier-elect’s father, was a legislator in Ontario, whereas Ford Jr. was a single-term Toronto city councillor. One reason for the Ontario NDP’s temporary spike in popularity was that people in and around the City of Toronto remember the divisive mayoralty of Ford’s late brother. Clearly, this didn’t end up being a deciding factor, but it did give the Tories a tougher fight than they were supposed to have. Kenney doesn’t have this issue to overcome. He was a senior member of former prime minister Stephen Harper’s cabinet, a government that was highly popular in Alberta, even as it lost votes in Ontario and B.C. It’s difficult to predict election outcomes a year in advance, let alone in the weeks leading up to it, but there’s no doubt the UCP has the wind in its sails after Ford’s victory.